Deborah, author of the quote above, was sweet enough to come and share an amazing article on the homesteading state of mind. You can see it here. Original homesteaders left the comfort of their lives, looking for a better life. The desire for a better life is what ties them to us. She’s so right! It’s the desire. Recalls. Inhumane raising of animals. Environmentally damaging farming practices. Chemical additives. When did food become a plot to a Stephen King novel? It use to just be the greenest people who were concerned where their food came from and how it was produced. In just the past decade, the amount of consumers concerned about these issues has risen dramatically. Consumers are now asking for transparency and what they are seeing behind the curtain scares them. People are willing to spend twice as much for food they feel good about buying, versus the cheaper alternatives. Those that can are actually growing and raising food. This isn’t a hippie trend. This is what happens when the truth has been revealed. The same truths are coming out in the products we buy, like the fact that the average laundry detergent contains at least seven hazardous chemicals. Yes, the clothes we wear on our bodies 24/7 have hazardous chemicals on them. That’s why almost every eco-friendly website has a laundry detergent recipe on it. And it doesn’t stop there. Toothpaste, air fresheners, and even the common cleaners we reach for when our kids wipe PB&J on the windows contains scary stuff. I’m not poking fun at anyone here, but I’ve had full-grown adults ask questions that leave me wondering about the state of our society. Does a goat have to have babies to make milk? What kind of tree do I need to plant to get bananas (and PS, I live in Maine)? Which temperature do I use on my oven? The °F or the °C one? There is no such thing as a stupid question, but seriously, how did we get so far removed? Things that everyone use to know has now been forgotten. There’s an app for that or you can ask Siri. I don’t know about you, but I want my kids to know a tomato came from a seed that needed to be planted and cared for. They should know that an animal raised in a healthy environment produces a healthier meat. If a button falls off their best shirt, they sure as heck should know how to sew it back on. No one else is going to teach our kids this stuff. It’s up to us. This last one is getting harder. Back in “the good ol’ days” your friends, relatives, and neighbors were on the same mission as you were. Survive and prosper. Your community of like-minded individuals was just naturally there. That’s not usually the case anymore. Now to connect to these people we have to find them online in Facebook groups or forums. To learn more we have to take classes or read books. I have shared my favorite homesteading books with you before, but they aren’t the best starter books for a wannabe homesteader. Sure, they are great resources for learning how to garden or how to raise animals, but they don’t address the big picture. Are you a homesteader? 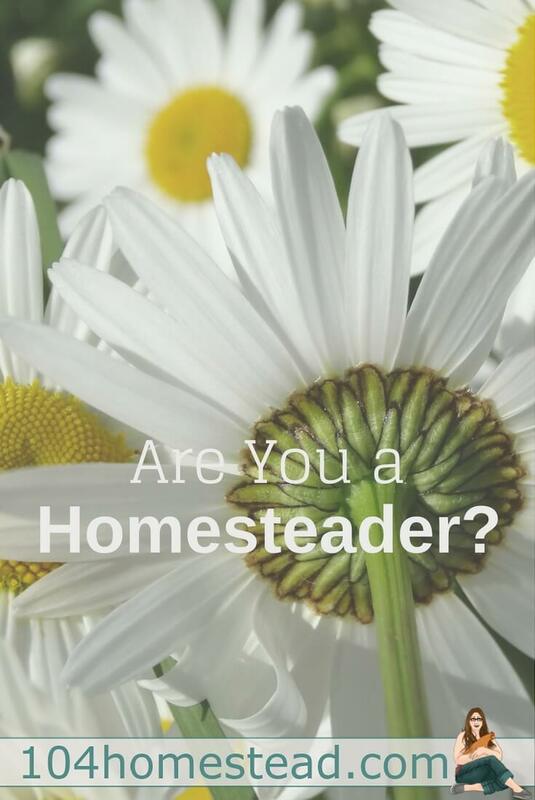 Do you want to be a homesteader? How do you start homesteading? Is that really what you want or do you want to have a small hobby garden and a few chickens. For that, I recommend Homegrown & Handmade, the book I nabbed that quote from. A practical guide to more self-reliant living. If you’re just getting started or toying with the idea of homesteading, this is the book I suggest. It’s not an expert-level book. It helps guide you through your options and lets you know the basics so you can decide if it’s right for you. If it is, great! That’s where other books that go into depth on your chosen topics come into play, but why shell out a bunch of money on books if you’re not sure it’s what you really want to do? 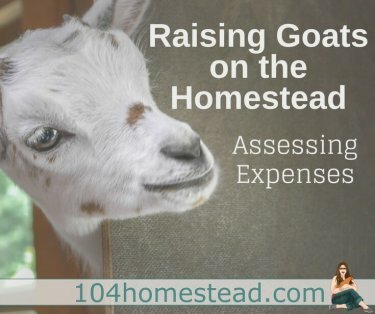 Maybe you think you want to raise dairy goats, but then you see what’s involved and you realize a goat-share program might be a better option for raw milk (because you like going on vacations). Maybe you think winter gardening is a cool concept, but then you realize you have way too much snow and it’s just not worth it. Homegrown & Handmade gives you the information you need to decide if these are things you should research further. It allows you to decide which homesteading activities are realistic for you and your situation. I guess what I’m saying is this isn’t the homesteading bible. As far as I’m concerned (and I read a lot) a homesteading bible doesn’t exist, but I’d say this book is darn close. Growing and raising food. Recipes for making products you’ve been buying. Self-sufficient skills you can do with your kids. If you’re looking for a good resource on all-things-homesteading, this one deserves space on your shelf… or beside your bed for easy access. 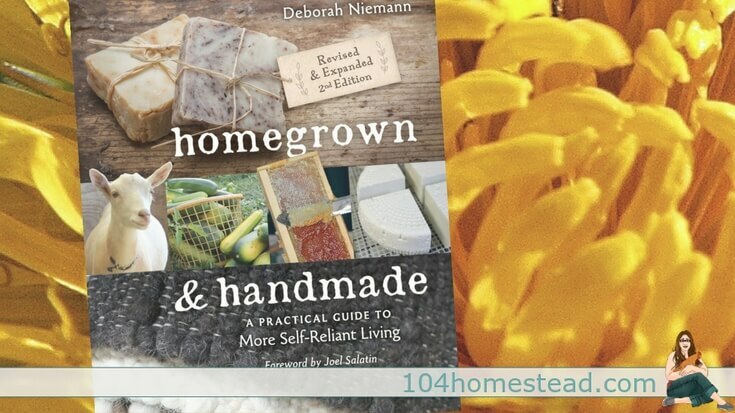 Home » Inspiring Homesteads » Homegrown & Handmade: Are you a homesteader? Great post! Many of us spend a lot of each day doing the same mistaken decisions about what we consume. Your post gave me an idea on how i can customize, practical and resourceful in things i used around house. I love this post keep this up!